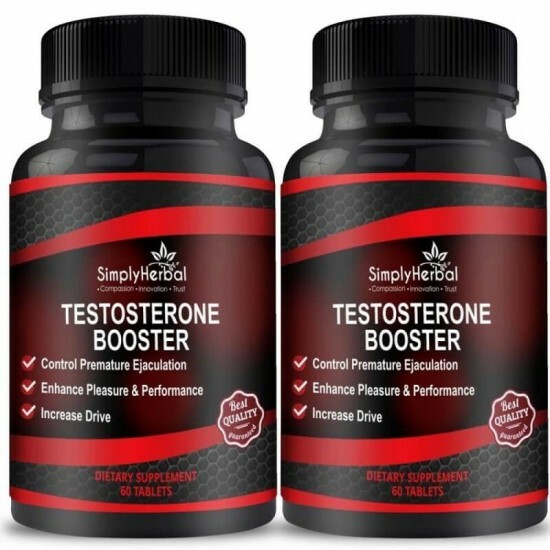 Simply Herbal Testosterone Booster Is Essential for Health and Well Being in Males and Insufficient Levels of Testosterone in Men Can Lead to Various Abnormalities. 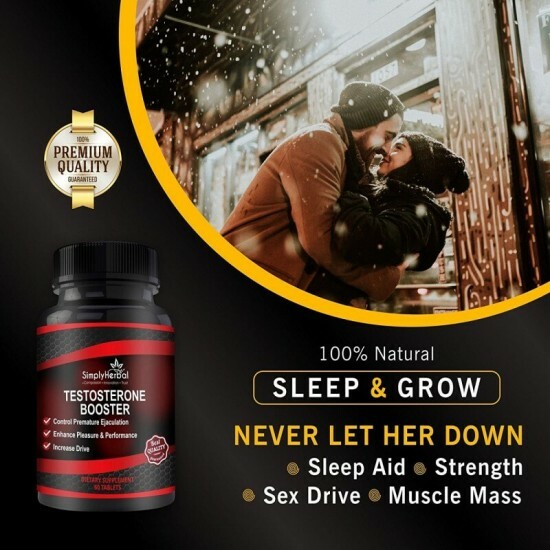 To Boost the Level of Testosterone, Testosterone Booster Is the Perfect Supplement You Need as It Helps Promote Natural Testosterone Release in Your Body to Enhance the Muscle Build Up. 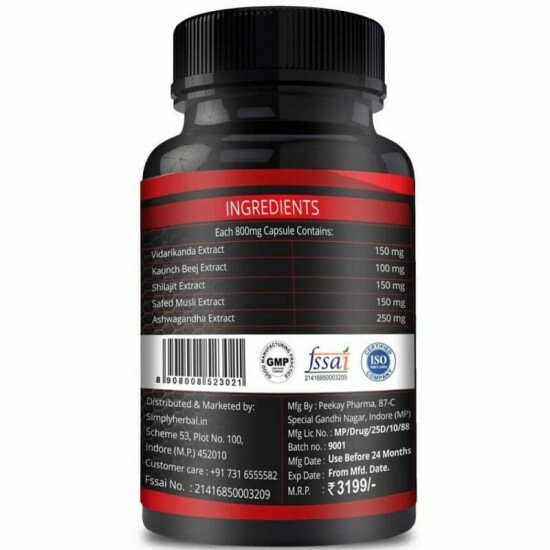 It Contains Various Natural Extracts Like Ashwagandha, Safed Musli, Shilajit, Kaunch Beej and Vidarikanda That Enhances Strength and Performance Naturally. It Is Designed Especially for Bodybuilders and Athletes to Make Their Workout Results Even More Effective and Powerful. Testosterone Booster Supplements Are Also Available in the Form of Testosterone for Men Bodybuilding Capsules. 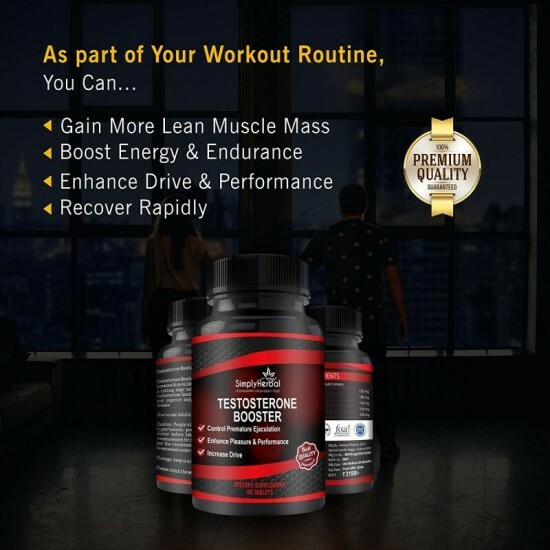 Add Simply Herbal Testosterone BoosterHerbal Testosterone Booster in Your Gym Bag and Watch Out the Interesting Results Yourself. Increases Testosterone Levels and Enhances Energy. Boosts Muscle Strength - Recovery, Endurance & Athletic Performance. 100% Natural, Vegetarian & Vegan - Only Pure Ingredients, Zero Fillers, Zero Binders, Zero Artificial Ingredients. 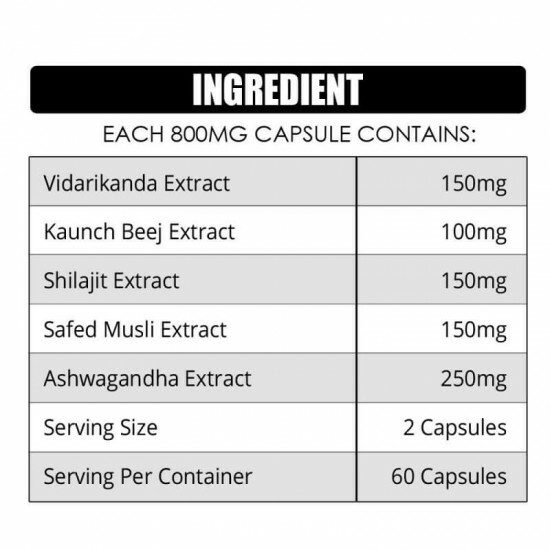 Ingredients - Ashwagandha, Shilajit, Safed Musli, Kaunch Beej and Vidarikanda That Enhances Strength and Performance Naturally. Made in an FDA Inspected and Registered Facility.